Security power supplies are used to run burglar alarms, safe mechanisms, and digital video security and surveillance system equipment. There are many different types of security power supplies. In the following article we'll focus on mainly those that apply to digital video security cameras. Security power supplies are used to run burglar alarms, safe mechanisms, and digital video security and surveillance system equipment. There are many different types of security power supplies. In the following article we’ll focus on mainly those that apply to digital video security cameras. There are several different components in a digital video security system, mainly cameras, a Digital Video Recorder or DVR, and a monitor at a minimum. Other components could include illuminators, transmitters, and receivers. All of these components are electronic so they must rely on some sort of electric power (or security power supply) in order to work properly. The majority of these devices simply plug into any standard wall outlet. However the camera security power supply is different. Let’s take a closer look at the security power supplies demand for the digital video camera. The powers demand of the video security camera seems to become smaller as the technology behind the electronic parts of the camera become more advanced. Thankfully, unlike many of the older analog cameras, today’s digital video cameras require much less power than their analog ancestors. In fact the power demands of these cameras can be so small that many cameras can actually be battery operated. Most digital video security cameras do not require the equivalent of power delivered by a standard household outlet; that is, they do not require 110-120 volts (V) of Alternating Current (AC). In fact the majority of cameras today operate on either 24V AC or 12V Direct Current (DC) power. To accommodate these power requirements a step-down transformer is normally required to reduce average household current into the power types required by the cameras. This is normally done in one of two ways. The first method used to reduce house current power and make it available for security cameras to use is a plug-in transformer. Like many electrical appliances used today, the plug-in transformer is package inside of a small plastic box-like shape. This is plugged into a house outlet, and the resultant outputted power is carried along a wire with a “female” circular jack that is plugged into the camera. There may be a variation on this theme. For example, some security power supplies that are of the plug-in transformer type can provide power to more than one camera at a time. For example, some Security Camera King’s four channel and eight channel security camera systems come with plug-in security power supplies that can power up to four cameras at once (eight channel systems have two plug-in security power supplies). The other method used to reduce house current power and make it available for security camera use is the power distribution box. Power distribution box security power supplies are circuit boards mounted inside a protective metal housing. The circuit boards provide connectors for pairs of wires to provide power to the individual cameras in the system. There are power distribution boxes that range in number of outputs available from four to sixteen. There are advantages and disadvantages to each method. For example, the single plug-in transformer allows the user to access a standard outlet near a camera which is great for cameras that may be near a power source but are quite a distance away from where a power distribution box would be located. On the other hand, power distribution box security power supplies provide the power for up to sixteen cameras by using only one power source and not sixteen individual outlets. There is no universal answer as to what method is best to use; the method depends on your specific digital video security application. Digital Video cameras may also use batteries as their source of security power supply. As mentioned earlier, as the power demand requirements reduce with improvements in technology, many cameras can now operate using standard battery size security power supplies. These are especially useful for cameras that need to be mounted in locations that make running a power supply wire difficult. There are also some “portable” security cameras that can use an automobile’s power supply. Digital video cameras used as bus security cameras, back-up cameras, and other vehicle-related uses are usually adapted to using the vehicle’s 12 V DC current as a security power supply. 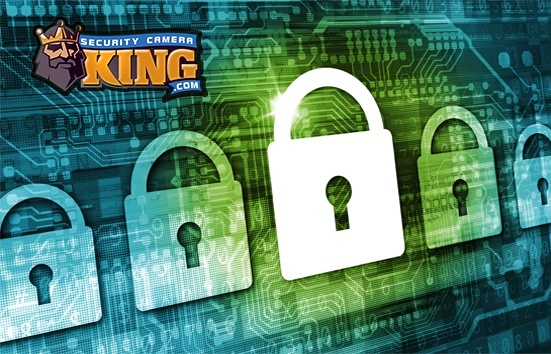 If you’re not sure what type of security power supply you need for your digital video security system contact one of Security Camera King’s security experts today. They can help you determine what you need and suggest what type of power supply is best for your configuration.